Welcome! The dental professionals at Saint Peter Family Dental Center are pleased to welcome you to our practice. 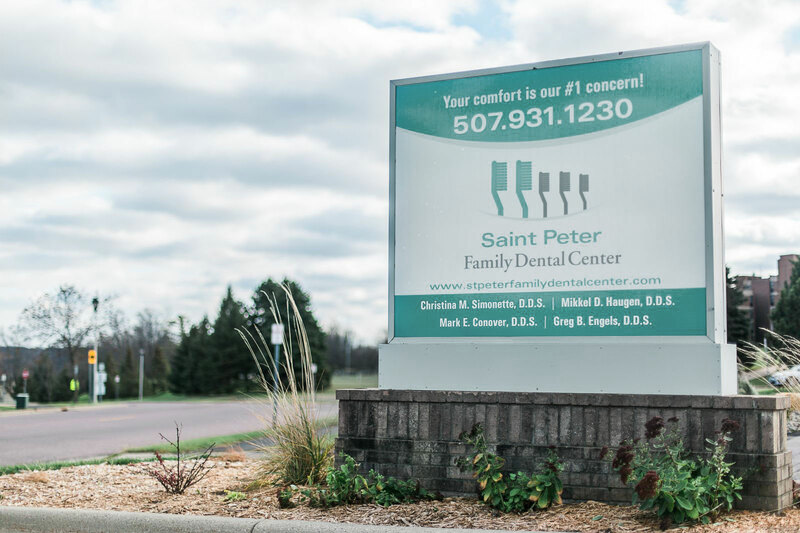 We want you to feel confident that when you choose Saint Peter Family Dental Center, you're working with doctors and other professionals who are qualified, experienced and caring. Our office has been serving the dental needs of Saint Peter and the surrounding communities for over 33 years. We are committed to excellence in your oral health and well-being. Please take a few moments to look through this site to get a better feel for Saint Peter Family Dental Center's caring staff and professional dental services. We also invite you to email or call our office at any time to request an appointment or ask any questions. Thank you. As of October 2014 we are proud to announce that Dr. Simonette and Dr. Haugen will be providing Invisalign. The clear Alternative to braces.